There are two ways to end a concert, a play, a novel or a garden tour: with a grand, spectacular display of colour, virtuosity or pyrotechnics, or gently, softly, pulling together all the elements and laying them out for quiet review. Dare I say it? 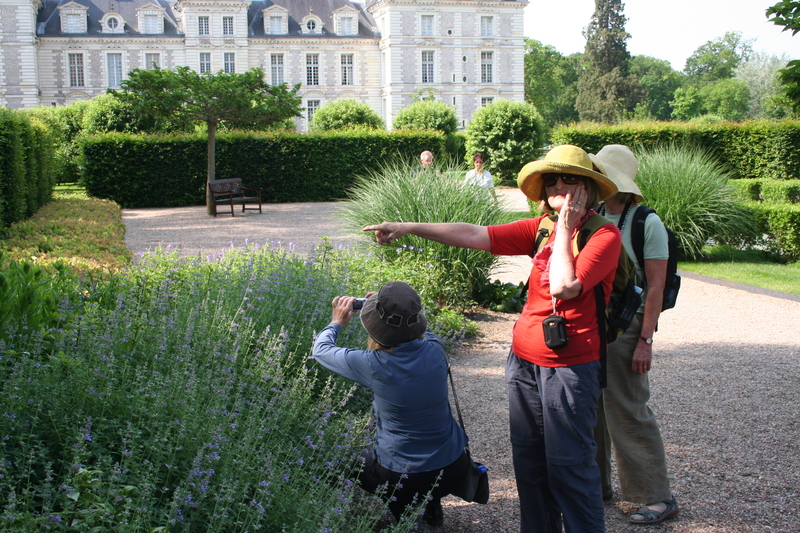 I think we achieved a bit of both on our final day of touring the gardens of the Loire Valley. 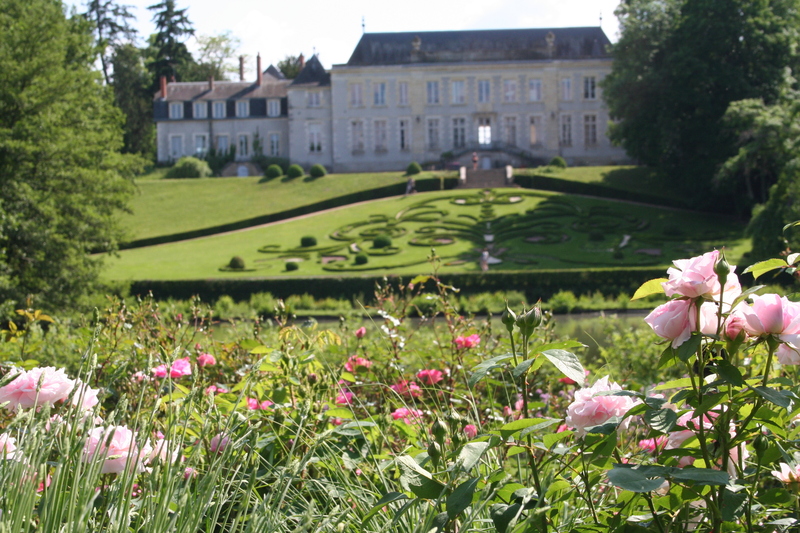 Our first port of call was Cheverny and its famous château which, unusually for such a grand French palace, is available to visit inside and full of fine furniture and art. We did the tour after visiting the gardens, starting with the potager which, for some reason, I had never seen before. This section was a marvel, a beautiful example of kitchen garden mixing traditional and modern design, with rows of vegetables and flowers artfully arranged into the prettiest garden imaginable. From here we moved on to the recently constructed Apprentices’ Garden which links the château to the orangery. Again, traditional and modern design mix to make a very satisfying whole. Around the château itself was a formal garden of the most strict design imaginable, but the final and largest area was the park in the English style, featuring many fine specimen trees, a place to explore and linger – but we had to push on, with lunch time beckoning. The journey was definitely part of the trip today. On the way to Cheverny we drove up the old driveway, miles of perfectly straight road aimed directly at the gates and doors of the château and lined with wonderful old trees. 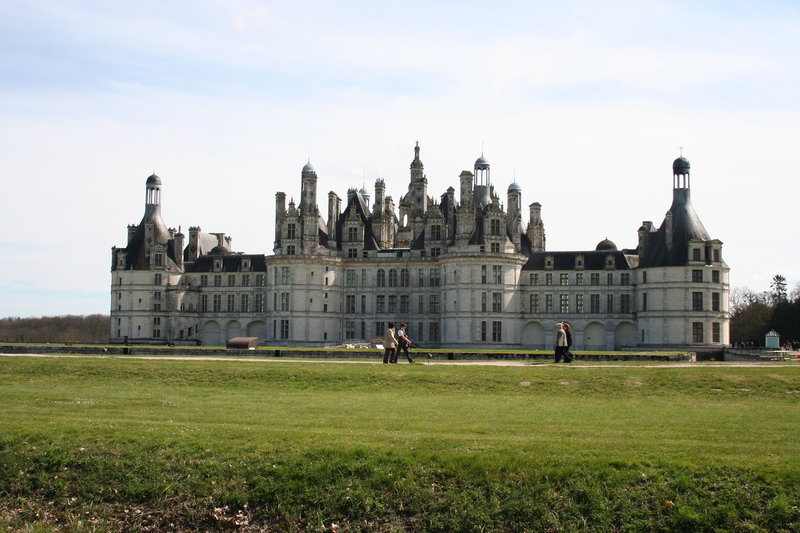 On the way to lunch we indulged in a detour to pass the Château de Chambord, a royal palace in the centre of a vast forest, the extravagant hunting lodge and pleasure park of the kings and queens of France. Lunch was in an old inn, now serving food of great quality, in the centre of the Sologne region of forests and lakes. Here we did linger, a little too long if truth be told, but the meal was rather good! 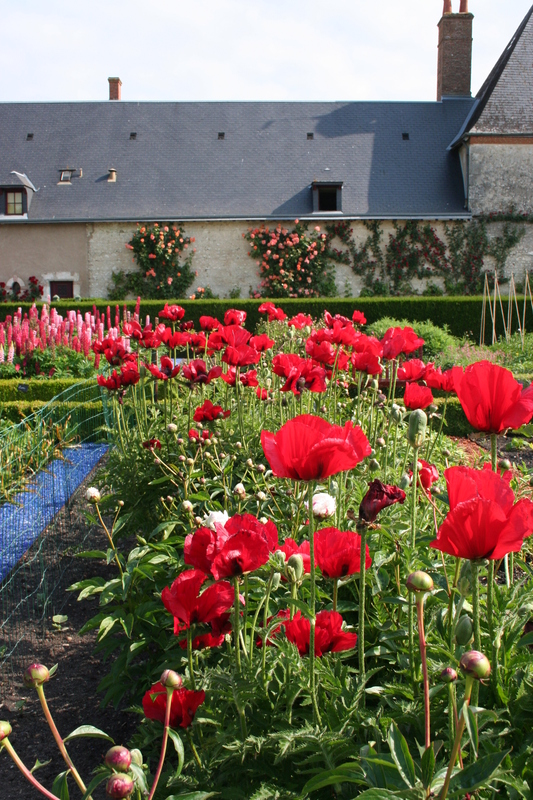 Our last garden was quite different, the gardens of La Source, on the outskirts of Orleans amid the campus of the university. The river Loiret emerges in this park after a subterranean journey from, it is thought, the River Loire some way upstream, below a fine chateau and surrounded these days by a municipal park of the highest quality. 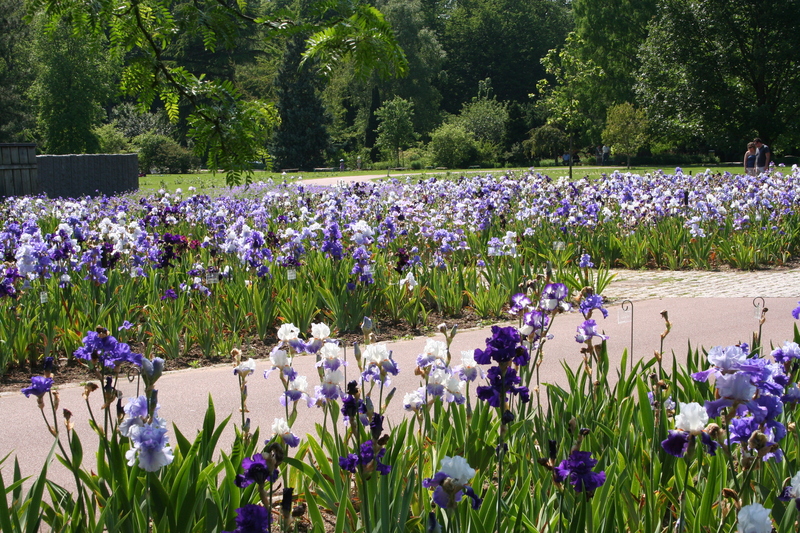 Wonderful displays and trials of Iris, roses and bedding plants are a feature of the park, which is well used by locals in addition to garden visitors from all over France and around the world. Given our late arrival we rather galloped through the gardens, which deserved more time and consideration, but enjoyed the visit nevertheless. There is hardly a formal French garden feature to be found here; we found a very large, relaxed space dotted with horticultural interest and allowing us to reflect on the huge diversity of gardens we had experienced during the week. Marie-Chantal had arranged an informal meal for our final evening, with local wines, cheeses and other products summing up the gastronomic life of the region in which we are pleased to live. Tomorrow our gusts would need ferrying to railway stations and the clean-up would begin. The tour had been a great success, we all agreed, and we counted our blessings in having had such a great group to spend our week with, exploring some of Europes great gardens. This entry was posted in france, garden design, Garden Design Academy, gardening, horticulture, Loire Valley garden visits, parks, Plant photos, plants and tagged Château de Chambord, Cheverny, Garden Design Academy, gardening, Gardening courses, gardens of La Source Orleans, loire, loiret, plants, Sologne by ukhostland. Bookmark the permalink.